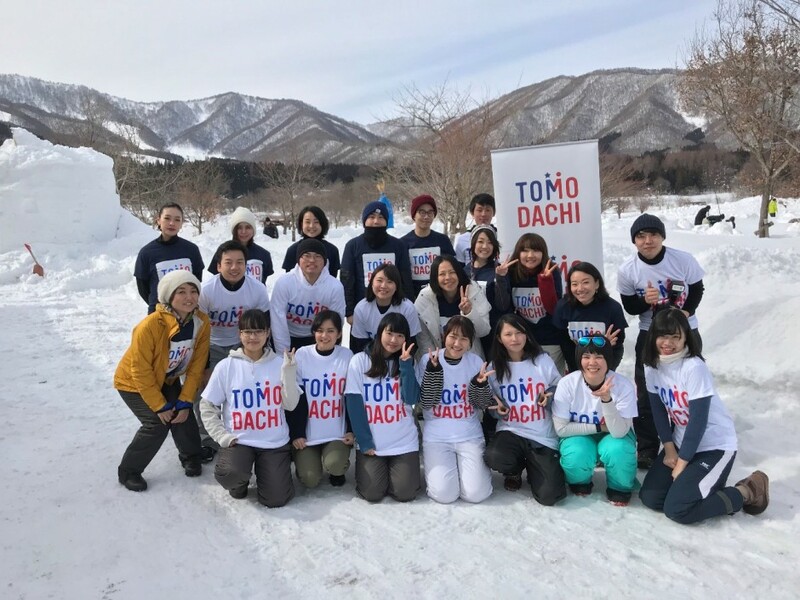 The third part of the TOMODACHI KaoLINK Fukushima Rebranding Program 2017-2018 took place at the Shimogo in Fukushima on February 15-17, 2018. The TOMODACHI KaoLINK Fukushima Rebranding Program 2017-2018 focuses on the infusion of aroma and scents for marketing and tourism. Participants gained skills on branding for tourism and about the difficulties of community building by getting feedback from professionals and local leaders in Shimogo, in the Aizu Region of Fukushima. 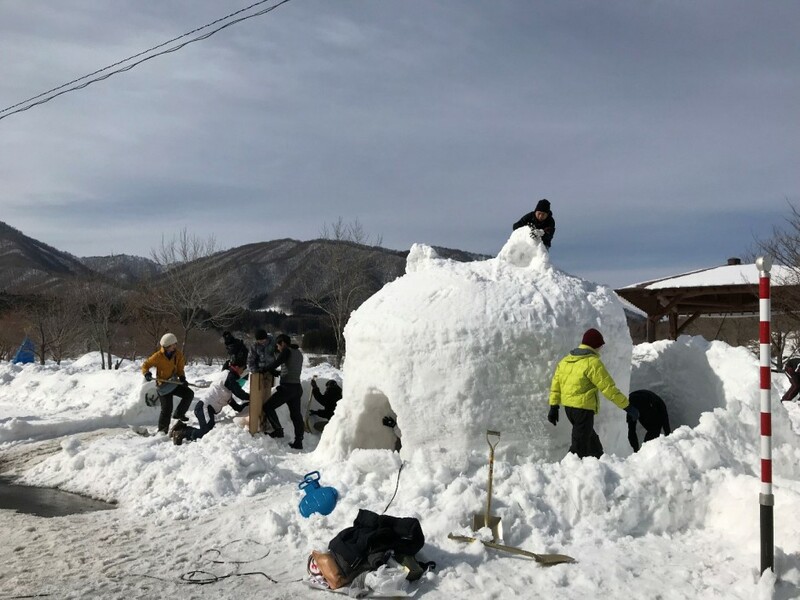 In this session, participants joined the snow festival called “Nakayama Setsugekka” to help rebrand the festival through scents. The highlight of the festival is the over 2000 small kamakuras (snow domes) with candles inside that spread out across the snowy fields of Fukushima. This scenic view of the Nakayama Setsugekka is one registered as one of the “national night view inheritances” of Japan. This is the first time for Nakayama Setsugekka to include the aspect of scent into their festival. The TOMODACHI Alumni created a story about a mystical flower that would only bloom on the night of the Setsugekka every year and the scent was again developed by the students based on the emotions they felt from this story. A large kamakura was erected as the main highlight of the festival and aroma candles and photo exhibits of the program were showcased inside and around the walls during the festival. 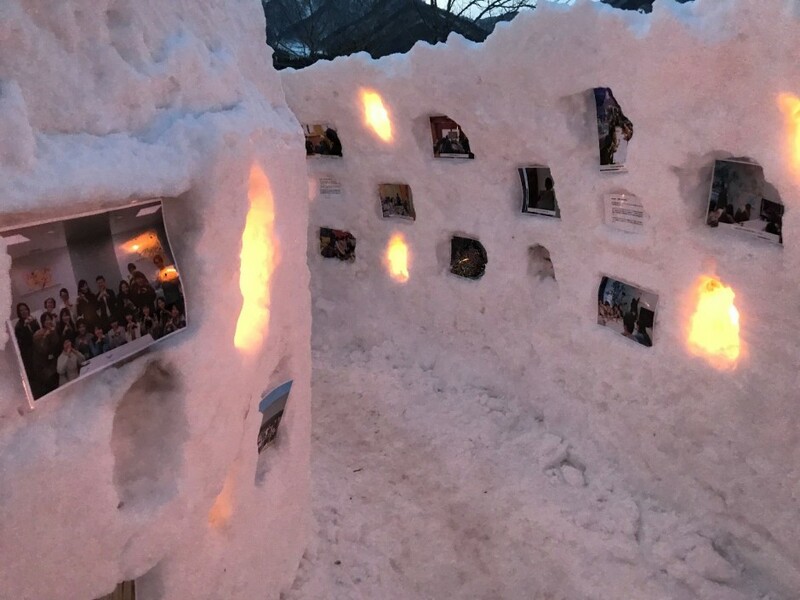 TOMODACHI Alumni decorated not only inside of the large kamakura but also made a 2-meter high wall of snow and chipped away at the ice to create pockets to exhibit the photos from previous parts of the program. Aroma candles and scent machines were installed inside the large kamakura and helped to tell the story developed by the students of the TOMODACHI KaoLINK Fukushima Rebranding Program to visitors. In addition, participants connected with local leaders and heard stories from the founders of the festival as they helped prepare the over 2000 kamakuras that would light the town for those two nights. After the festival, participants had a discussion to prepare for the fourth part of the program that will take place at Hanamiyama Park in Fukushima this April. Participants were tasked with pitching ideas to infuse scent into this hanami festival and broke up into three groups and held their group presentations. Each of the three groups had different approaches to rebrand the hanami festival in Fukushima, such as the idea to use scented hand sanitizers, spread incense through large pots such as the ones seen at Asakusa’s Sensoji Temple, or to create soaps that would represent the diversity of flowers at this special park in Fukushima. After the presentation, each group received valuable advice from professional business people to progress their idea such as Mr. Yujin Morisawa, a Senior Art Director at Sony Interactive Entertainment, and Ms. Akari Hoshi, Business Planner at Sony Computer Science Laboratories, Inc., who shared their knowledge and stories of product design and helped the alumni understand the value of packaging and messaging as well as the content of the product itself. In this third session, the TOMODACHI alumni and other visitors of the Nakayama Setsugekka shared their experiences from the event that scent totally changed their image of snowy fields, kamakuras, and of winter. The TOMODACHI KaoLINK Fukushima Rebranding Program 2017-2018 is generously supported by Air Aroma Japan. Nakayama Setsugekka is featured by media.